Pole fitness studios are a rare form of exercise. In most cases many cities and towns are lucky to even have one studio. New York City has at least four studios within a couple blocks of each other. In larger cities, the proximity of these studios doesn't matter as much due to the larger population. I have talked to a few ladies that work at some of the studios in New York City about how they deal with the competition of having other studios within the area. Many of them say it isn't that big of a problem. Most of the instructors will actually teach multiple teaching jobs and are friends with many of the other studio instructors. It is also true that in a city like New York, every studio is notorious for a dance specialization, whether they are great at tricks, sexiness, or choreography, every studio will have something unique to offer the community. So what happens when you're in a smaller city or town and a competitor opens for business? First of all, for those considering opening their own studio, the important factor to consider when planning your business is location. A favorable distance between competing studios should be as close as a fifteen mile radius. Fifteen miles is ample distance as not to intrude on another studio's client base. It's important to respect competing studios, especially being the new guy on the scene. You want to build your own clientele. It is true, that many avid polers will take classes at every studio possible. 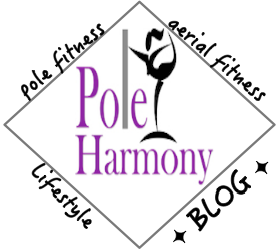 Pole fitness is a shared learning process. However, many clients will not have participated in the sport, therefore keeping a respectable distance between studios is important for the success of the individual businesses. When a new studio opens for business, generally the studio will advertise an open house event. Open houses are great opportunities for new clients to come check out the studio, meet the staff, and learn all about the type of lessons offered. For those already affiliated with a studio, this is a great opportunity to respectfully welcome the new studio to the community. By respectfully, I mean dressing appropriately (don't wear any attire advertising your own studio) or in any way advertise your classes as the competitor to the new studio's guests and potential clients. It's okay to be curious about a new studio. Dedicated pole dancers want to see new studio layouts, meet people with their common interests, or may want to simply know more about the studio just like everyone else. It's important not to be secretive about your intentions. Remain open and honest with the new studio. You never know, you could be working for or with the new studio some day. Some may disagree with being friendly to the competition. I'm not sure I understand this rationalization of creating enemy lines within a community such as pole dancing. The pole dancing community would never be what it is today without the online social networking sites such as Studio Veena. Pole dancers from all over the world have come together to support each other and bring awareness to the benefits of pole fitness. Many studios have worked together to better the community within the industry by setting standards and implementing programs that educate. Without the camaraderie of studios coming together, our beloved pole fitness may not have come as far as it has within the recent years. So, I say to one who asks why work together harmoniously with the competitor? Why waste time with negativity when you could be accomplishing much more in the bigger picture? On another note, one can really put things in perspective and realize that their business could cease to exist if it wasn't for all the work these studios have done for the community by working together. This topic reminds me of a studio I visited this past summer in St. Petersburg, Florida. The studio and all the surrounding studios in the Bay area were working together to organize a charity, Pole for a Purpose. The event was a pole show fundraiser for Vixens Against Violence. Vixens Against Violence is a group that brings awareness and education to the public about domestic violence. What truly impressed me about all these studios working together for the event Pole for a Purpose was the fact that they were working together. When I initially inquired about classes with one of the studios in the area, I was promptly greeted with an email answering all my questions and a referral to possibly attend a competing studio's classes if their schedule did not fit my needs or availability. This shocked me that these studios would refer each other to potential clients. A perfect example of the point I've been trying to make. As a community we need to work together and remain supportive. The best way to handle a new studio in the area is to embrace the new business and accept that they are there doing their own thing. It's okay to maintain a friendly ground with a new studio. However if your studio or you don't feel comfortable enough to take those steps necessary to build upon a supportive community within your own city or town, then don't. Just remain respectful of their business as your respect will reflect back on you.